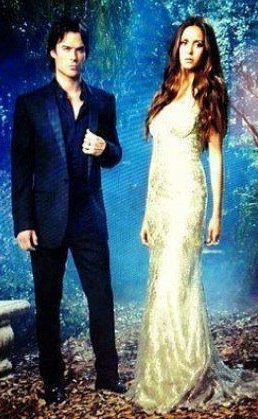 Ian & Nina TVD Season 4. . Wallpaper and background images in the Ian Somerhalder and Nina Dobrev club tagged: the vampire diaries season 4 promotional photoshoot 2012 nina dobrev ian somerhalder. This Ian Somerhalder and Nina Dobrev photo might contain bridesmaid and maid of honor.